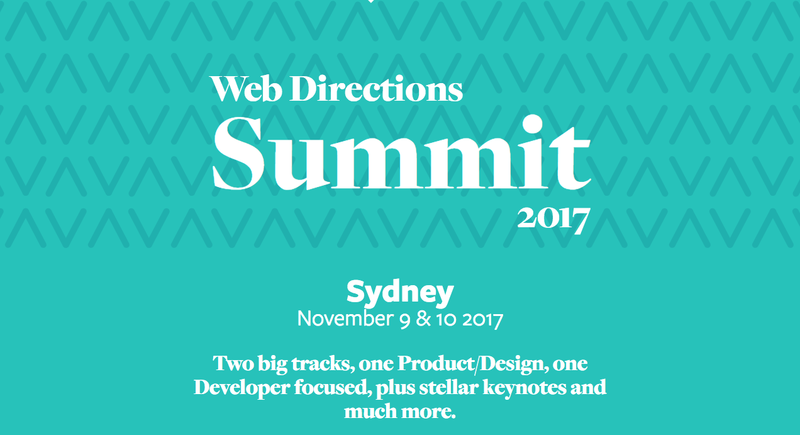 This was my first time attending Web Directions Summit, and considering how I was going to be based in Australia at the time it seemed like an opportunity not to miss. The lineup was spectacular and I was very excited to see Kyle Simpsons name on the list. The keynotes I must say also grabbed my attention, though they are often not a draw card I did not want to miss the opportunity to see Genevieve Bell speak. The keynote she delivered was well worth the ticket cost, I really enjoyed hearing her views on Australias future capabilities for artificial intelligence and the reason she has decided after all these years to call Australia home again. She has come back to help Australian National University design a new AI course for Australia that aims to put humans at the heart and centre. I am unsure if it will be available on video but if it is I will update this post.